Options: Colors by request. Can also be made in wool. Now available in a fingerless version for $12 a pair! One size fits most adults and children over age 8. 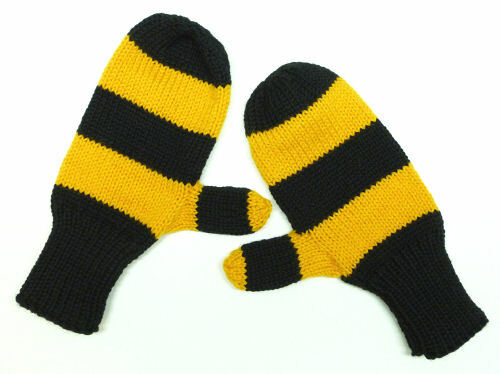 See the Fingerless Mittens page for more information. Classic knitted mittens are always a favorite. They are easy to wear, and can be made to match any of my winter hats and scarves. In children’s sizes, I can make them with a connecting cord, so that they are harder to lose. Just let me know! 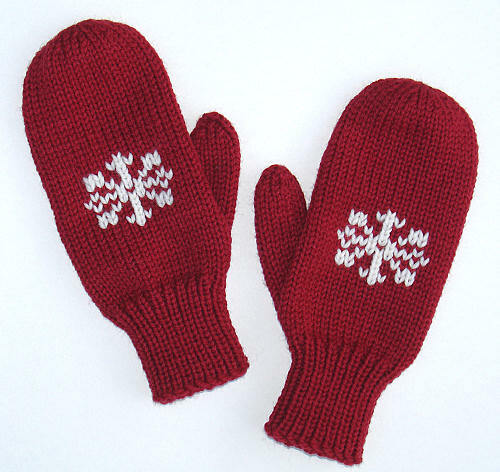 These mittens have a ribbed cuff to keep the cold wind out. The thumb is shaped, so there is no awkwardness or bulk. 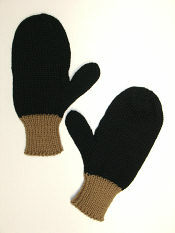 I knit them with a durable acrylic that can tolerate the repeated washing mittens often need. They are colorfast and mothproof. Choose your color, or request stripes or other special designs. I once made a pair with one red hand and one green; the red was embroidered with “STOP” and the green with “GO”. For those who want extra warmth, wool is also an option. It will need hand washing, but that’s a small price to pay for the coziness. Put a pair in every family member’s Christmas stocking. They are a gift that will be used again and again. 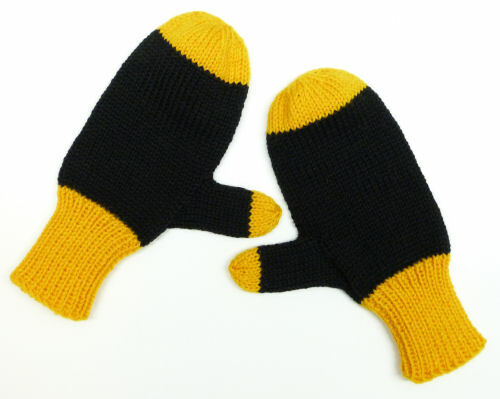 For a matched gift set, combine the knitted mittens with a Knitted Scarf and/or a hat (Knit Beanie Hat or Knit Beret, or even the Knitted Headbands).